Bangalore, the garden city of India is a must visit for those who want a peaceful atmosphere and a beautiful weather. It is a must visit in the winter months. Its exciting night life adds to the city?s charm. The Banerghatta National Park is not to be missed whenever one is in Bangalore. I would also recommend The Ulsoor Lake and the Cubbon Park if one is looking for scenic beauty and some tranquility. Thanks for sharing this great information about Bengalore. The city is one of the most important tourist centers of Karnataka and there are many amazing places to visit in Bangalore. Central business district of Bangalore consists of places such as MG Road, Brigade Road, Commercial Street, Vidhana Soudha etc. Bharat Taxi is one of the leading taxi and cab service provider in all over India. Bangalore is a city that blends the old and the new. The new is, of course, the malls and the IT sector and the clubs, etc. and the old consists the monuments that still hold the colonial charm. Bangalore is the party hub of the country, especially Koramangala, MG Road, Brigade Road and Church Street. There are rows and rows of bars and clubs and if you are one for club-hopping, this is the place for you. Bangalore also has endless restaurants. What's interesting in the restaurant department is that there are hundreds of themed restaurants, which makes for amazing instagram-friendly interiors. Bangalore being a place where almost all start-ups are born, it is a place full of youth and vigour. But that's not it. Markets like KR market make perfect spots for early morning photography as they are full of florists just starting their day. Cubbon Park, again, is lined with trees and makes amazing spot to just chill throughout the day. 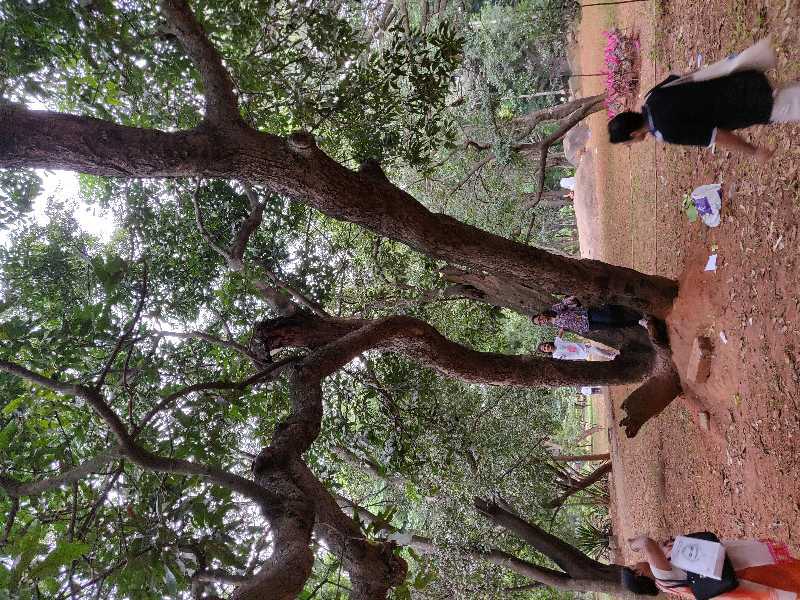 Cubbon Park also has these special Sunday mornings, where dog owners come with their dogs so that they can socialise. You can go there, even if you don't have a dog and just play with them. There are endless book cafes and other cultural spots. You might find poetry slam events happening near the MG road metro station. There is always something happening in this city. Booming with jobs for young professionals, majorly IT, Bengaluru is a truly cosmopolitan city with people from all over the country coming in, not just for jobs but in search of a better life. In 2012, Bengaluru was declared 'The most livable city in India' according to a country-wide survey. The rise of startup culture in Bengaluru is also drawing entrepreneurs there. The city reflects a blend of old and new - some parts with historical monuments are still kept intact, and in others, you can see the high-rise corporate complexes. Lined with long stretches of trees and parks, famous heritage buildings, busy markets and newly constructed buildings, Bengaluru seems to have a bit of everything for everyone! The airport is on the outskirts of the city, so be prepared to shell out anything from Rs 500 to Rs 1500 getting to Bangalore. The weather is quite pleasant, but the unexpected rain and thunder do warrant a light jacket or sweater. I?ve heard the traffic is the worst, but haven?t travelled long distances to corroborate this- short trips during non-peak hours are fine. It definitely has a bit of urban and traditional, and is largely a youthful city-the startup culture draws youngsters who can be seen in every office, cafeteria and mall. You?ll struggle for knowing Kannada (read: taxi drivers) but it?s not impossible. All in all, a vibrant city with much to offer for the visitor, student and entrepreneur alike! - Money exchange kiosks are not easily found in Benagluru. Its is advisable to approach travel agencies or banks for currency exchange. Kannada is the official language, however Hindi and English are widely understood. Known as the IT hub of the country, Bangalore is a perfect holiday destination. I visited the ISKCON temple, Vidhana Soudha, Lal Bagh, ABC, Phoenix mall, UB City, Orion mall, Nandi hills, Cubbon Park and various Tech Parks. The cool, moderate climate made my experience even better. I also visited the Bangalore Palace , which has a host of beautiful gardens and wooden carved structures. We travelled across the city by BMTC buses and cabs which are quite viable. One must definitely visit the Aero Show which is held in Bangalore in every two years and is quite splendid. Nice, green park. Lungs of the city. We recently went to Wonderla in May-2018 and had a great experience. The rides were fantastic and thrilling, and we loved a lot of them. A bit disappointing was the fact that Flash Tower had a glitch and stopped working, but the other rides were great. The roller coaster was absolutely insane. So was Maverick. However, we did a lot of these rides back to back and had gotten quite nauseated to continue with the other ones. The water slides were a lot of fun as well, and we rushed to the top of the tower to do the rides as soon as we reached down. We had gone on a weekday, but despite that the park was very crowded - and having the Fastrack ticket was a real delight. We realized we might have 2x the rides we could have done on a regular ticket - and this was on a weekday! I can only imagine what it must be like on weekends! We went on a Sunday bike ride to the Big Banyan Tree, also known in Kannada as Dodda Alada Mara, during the monsoon. As usual in Bangalore, the weather was brilliant for a long bike ride. We rode mainly on the ring road, then the NICE road, and then the last few kms to the spot. The place itself is very interesting - it's quite intriguing to see a since tree which has grown so many huge offshoots. Walking inside the park feels like you are inside a forest of banyan trees. The tourism dept. has made a few benches to sit in the park and enjoy the scenery, and are also reconstructing a temple inside the park. It makes for a nice bike ride (or long drive) from the city. Lalbagh is, without a doubt, my favourite park in the Garden City (or at least the former garden city) Bangalore. (Yes, I like it much more than Cubbon Park). It is huge, and I love the variety of trees in the park. Some of the individual trees are huge, with trunks that are incredibly thick, and they are famous by themselves! You can walk all around in the park for hours at end, enjoying the greenery in the typical nice Bangalore weather. The lake inside Lalbagh is quite nice itself, unfortunately rare for Bangalore lakes. It's also a great picnic spot for city residents - you can lie down on the grass practically anywhere in the entire park, and enjoy a few hours in the middle of lush greenery. The different sections within the park are all slightly different, and I recommend you walk around all of them to experience it completely. Best Place to Vist for tranquility and Serene Atmosphere to meditate. There is meditation hall and Library for books on Buddhism and book store with very good collection of books on buddhism at very reasonable price available and on request accommodation is available. Located close to the city center and easily reachable, the Ulsoor or Halasuru lake is a well known lake in Bangalore. Having a rich history, Ulsoor lake is home to the childhood memories of many. With a tree lined perimeter and many parks around its circumference, it makes for an amazing urban getaway. In the evening I would recommend walking or jogging around the lake or sitting in one of the many cafes that overlook it for some serenity and solitude away from the fast paced life of Bengaluru. Although it isn't possible to swim in the lake, boating is a fun experience. MG Road or Mahatma Gandhi Road is one of the most busiest and well known streets of Bangalore. It is easily accessible by the purple line of the Namma Metro. What drew me to this area is the plethora of activities it offers. Lined with offices, shops and eateries and other establishments I find that there?s always something to do. The adjoining streets of Brigade Road and Church Street have eateries, restaurants, clubs and shops of every kind, adhering to every budget. I find that there always something to do or explore in this area and it is always exciting to be here. Wonderla Bangalore offers a fun-filled day for both the thrill seeker and the de-stressor! Although I?m terrified of heights, the thrill of it all made me want to try almost all the rides anyway! The highlight for me was definitely the Wave Pool ? Joining hands with complete strangers to catch the wave made it feel like a real beach in Bangalore. It is recommended to wear nylon or synthetic clothes, or they can be purchased from the park. Those using BMTC buses to reach Wonderla can avail a discount of 15% on park tickets while college students with original ID cards can receive a discount of 17%! Waste of money. 150 for dharshan. Siva statue is better. What's the nightlife in Bangalore like? Although everything in Bangalore shuts at 11 o'clock during the weekdays, the weekend nights are quite lively. There are numerous places you could go to depending on the kind of ambiance you're looking for or the kind of money you want to spend. Bangalore mostly sees a good crowd and nightlife in Bangalore is one of the highest rated in the country. The best mall in Bangalore in ORION MALL. It is worth a visit and you should definitely pay a visit. Please suggest a place where we camp/tent with fire n cook food. Which is safe as well.. We are ready to visit any place within 300kms around Bangalore. There are several places near Bangalore where you can go for camping. You can choose from the following options- Kalhatty, ECR Bhive, Coorg-Votecad, JenuKallu, Nachikuppam and Hingaara. bangalore is huge. which area/place name/centre to stay on a week's visit n where hotels gd food shopping centres n transport r easily available?